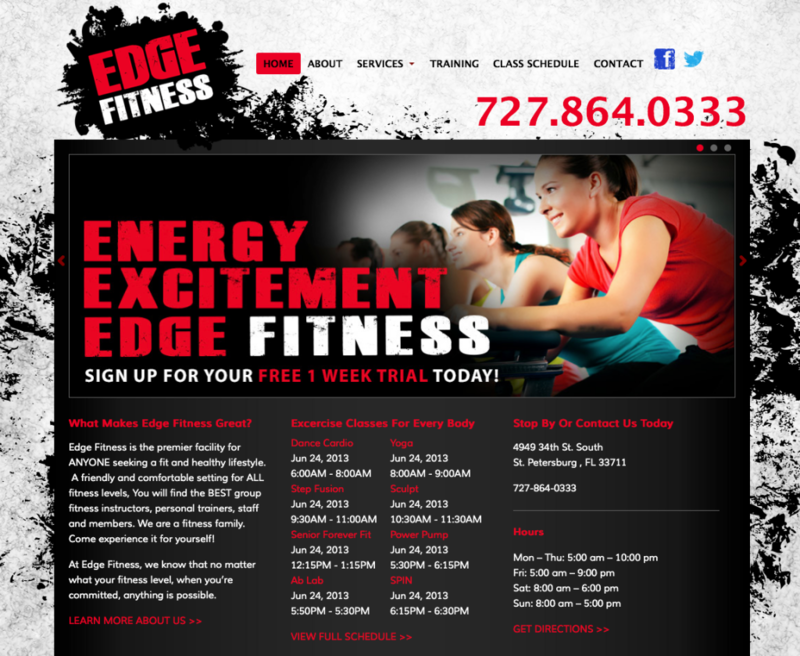 Edge Fitness is a new gym in St. Petersburg, FL. They needed a website to start promoting online and help generate new members. They wanted an edgy style that works with their attitude while also promoting a gym for every body. The important features on this site are the up-to-date class schedule and calendar as well as the 2 week VIP pass sign up to generate leads.